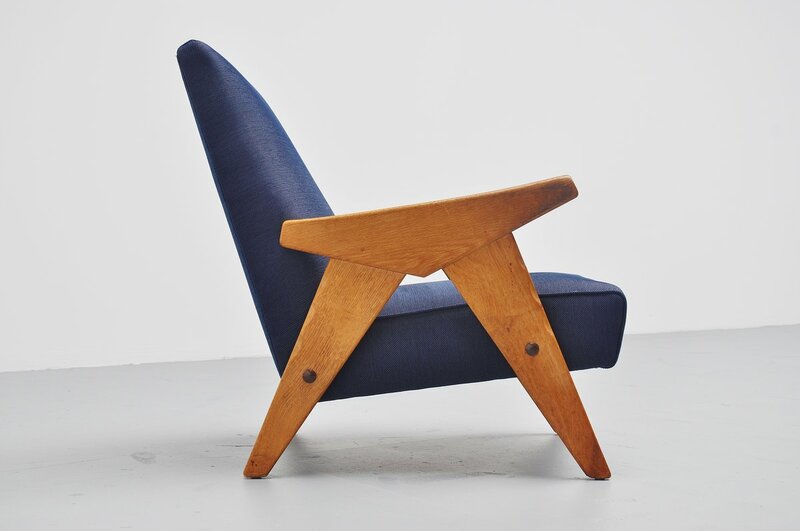 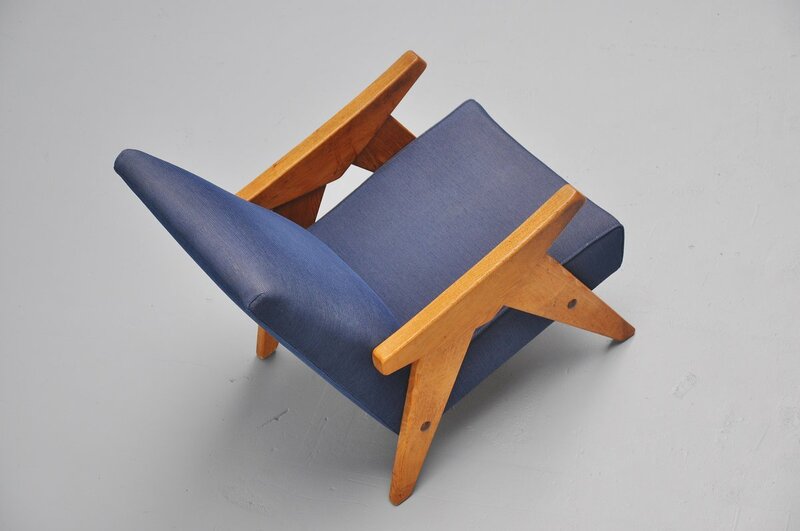 Very nice shaped French lounge chair, made by unknown manufacturer or designer. Comes from France and purchased in the 1950s. 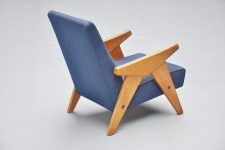 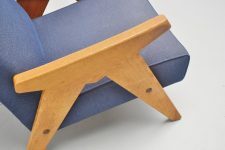 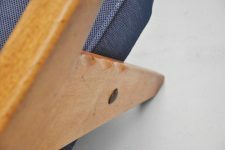 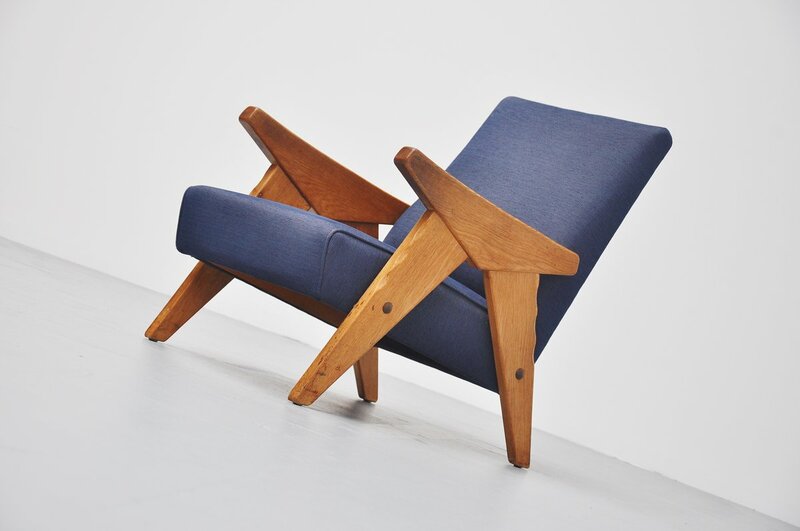 Strongly attributed to Guillerme & Chambron, could also be Pierre Chapo, in the style of Jean Prouve and Charlotte Perriand. Beautiful hand crafted chair in good original condition. Dark blue quality fabric is a nice contrast with the oak leggs. Comfortable seating here.